In order to get the rights you need, in addition to driving, pass the theoretical exam, which for most students of driving schools seems to be the most difficult. To pass the exam in the SAI is required to learn 40 tickets, each of which consists of 20 questions. Permitted to allow only two errors on the ticket, if you did more retake. Undoubtedly, to learn 800 questions in a short time is difficult, but it is possible — you just try. The rules of the road printed in a small book to read which can be just a few hours. However, you also need to remember what is written in it. To study the SDA is better in sections. For example, the category of "roundabouts". After reading you should try to mentally repeat what you have read. The fact is that having learned this subject, it is possible to respond immediately to 120 questions out of 800. You can now go directly to the actual exam papers. A booklet with questions you can buy in any driving school. When buying you should pay special attention to the year of issue. The fact that traffic rules are regularly amended, and last year's issues can be irrelevant. In the study of examination tickets SDA is best to combine printed materials and computer programs. Test your knowledge only on the computer, you should not. As a rule, on different sites, this image in different colors. If all the time to train on very bright pictures, then in the exam in the traffic police can be difficult. You should select the website where the images will be very close in color to the book. To prepare for the exam it is better to use a program that immediately gives an excerpt from the SDA at the wrong answer. If you pass the test constantly, in some situations, visual memory can help. It happens that when you encounter familiar images, one immediately remembers the right answer.The best way to study questions gradually, intermittently, and constantly repeat what you have read. To study the SDA is better in sections. One section covers several dozen questions. 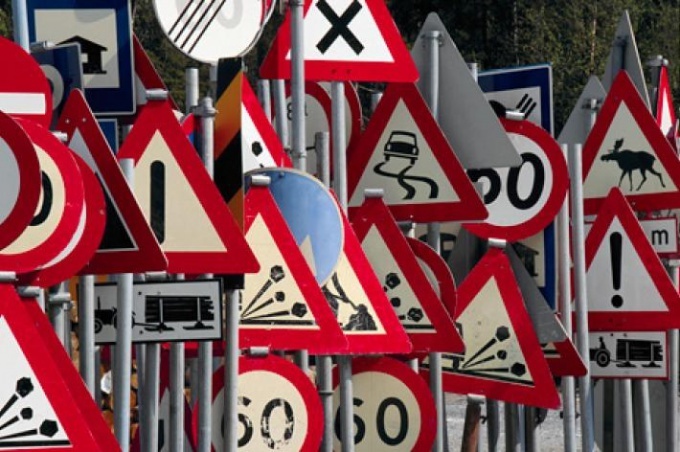 The study of traffic you need to start with the most difficult moments, for example, with the topic "traffic Signals and traffic controller". What is easier, it is better to learn in the last turn. In the process of preparing it is necessary to use three types of memory – auditory, visual and motor. This means that you need to read aloud, view the corresponding pictures and write the correct answers. While walking or riding a transport you should mentally try to explain the actions of motorists, correlating them with SDA. To check the exam fees need to thoughtfully based on logic and not try to just memorize them. This will help not only to memorize the rules of the road, but also successfully apply them in practice. For many students, driving schools, obtaining rights becomes a mere formality. Someone he can drive a car since childhood, sits behind the wheel, and someone just decided to "buy" the right and learn all the tricks of driving on the highway, side by side with other road users. For such people, the theoretical part of the lessons seems to be something totally unnecessary. You can often hear the opinion that the only important the training course, and the theory can be learned in the course of driving. This attitude is a tragedy. Traffic just need to know each driver. This knowledge will help you not only successfully pass the theoretical part of the exam in the traffic police, but also to prevent many accidents, which often occur due to the ignorance of the drivers of the basic rules.